This TO&A conference suite provides four fully-furnished court reporting conference rooms including other large rooms for litigation support. 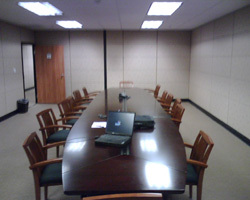 We can provide videoconferencing as well! We are not far from the Sky Harbor International Airport and Scottsdale Airport. Walking distance from local eateries and hotels.